Take to the streets with the Caped Crusader, and everyone else, this November. Travellers Tales has been busy plugging away at its latest Lego adventure, Lego Batman 3: Beyond Gotham. It's easily the team's biggest game to date, taking place in the far reaches of space as Justice League heroes and Legion of Doom villains alike take on the dastardly Brainiac. Now, players won't have to wait too long to get their hands on the game. WB Games has announced that Lego Batman 3 will make its way to store shelves on November 11th in the U.S. and November 14th in the U.K. The final official box art is below. Featuring over 150 unique and unlockable characters, including the one and only Adam West from the 60's Batman series, Lego Batman 3: Beyond Gotham should be a fun time for kids and comic book fans alike when it releases across the board for Xbox One, Xbox 360, PlayStation 3, PlayStation 4, Wii U, 3DS and PS Vita. 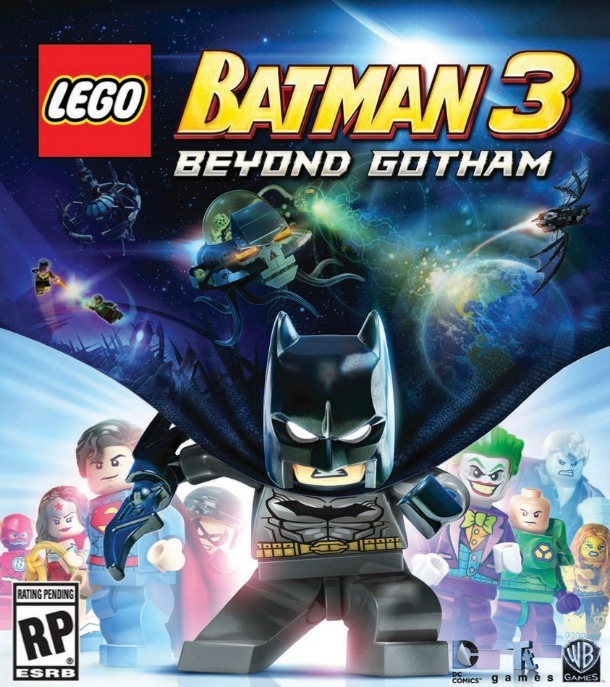 Robert Workman posted a new article, Lego Batman 3: Beyond Gotham gets a release date.